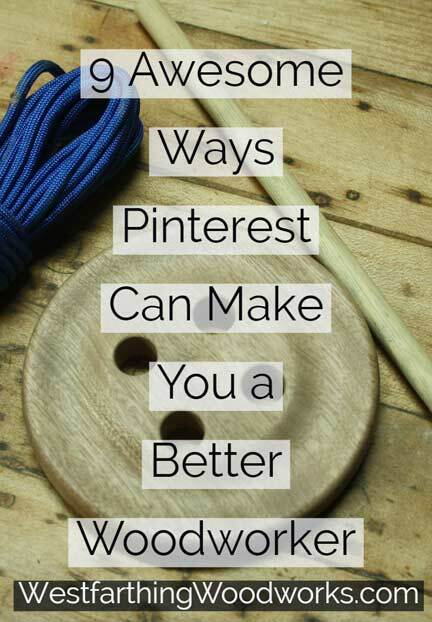 This is 9 Awesome ways Pinterest can Make You a Better Woodworker. If you have only heard of Pinterest, you would be surprised at the amount of woodworking stuff that is on the site. While it used to be all about hair, nails, and dresses, it’s grown to cover just about every DIY topic, including woodworking, which is great for several reasons. 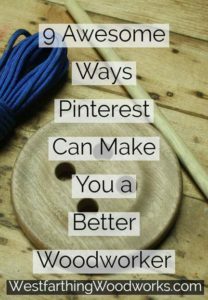 Pinterest in the beginning was not as heavy into DIY and woodworking topics as it is now. Over time, and as the users of Pinterest evolved, these topics became more and more popular. Woodworking in particular is a huge topic on Pinterest. It surely came from the DIY category as a starter, but over time it has grown quite a bit. 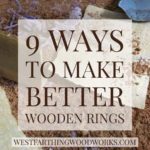 Now, there are so many woodworking ideas to sift through that you can scroll for years and never reach the bottom. It is a gigantic source of inspiration, and a valuable resource on the internet. Pinterest is all about instant inspiration. 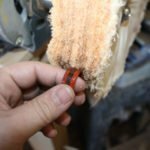 You will have periods in your woodworking where you need a boost. There are times when the project, or the deadline, or something about the prospect of going back into the shop just doesn’t sound fun. It’s in these times that you can use a little inspiration and a positive pickup to continue your work. If this is you, and you find that you need a motivation boost, take a look at my 11 Ways to Find Woodworking Inspiration. There is far more than Pinterest alone, even though it is one of the very best. Having instant access to inspiration is a great thing. When you need a little boost, take out your Pinterest app on your phone and in a quick scroll you can find what you are looking for. This is both for helping you spend time in the shop and for checking out what other people are making in their shops. One of the best features of Pinterest is that you can save things. Pinterest is made of boards, and you can think of them as cork boards. Each one has a topic name that you choose, and you fill them with things relating to the topic. As you fill your boards, you end up making piles of ideas that are all arranged by topic. You might be really into carving a wooden spoon, and you create a board of the same name. Over time, as you find more and more examples that you like, your board grows. You can have many different boards, so you never have to worry about running out. This means that you can have boards going for lots of different projects, even if you don’t plan ongoing back to them right away. This is great for when you have a sudden burst of inspiration and want to get some things saved for later. Over time, you will end up building a catalog of great ideas. This does take some time, and you will have to put on some work. However, if you make it a point to be a casual user, and scroll through the ideas each day, you will naturally find things to pin. As you do, your boards will grow. When this happens, you will see that you are making a persona library of great ideas and inspiration. Not only will it be large, but it will also be perfectly as you want it to be, because you create it yourself. That is the real beauty. Not only is it a huge inspiration source, but it is also exactly what you want it to be. All of the pictures are in there because you like them, and this means that the whole account will be filled with things you like. Pinterest is also a place for learning. 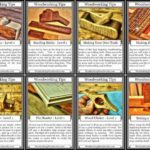 There are a lot of great woodworking tutorials on the site, and woodworkers enjoy posting them. 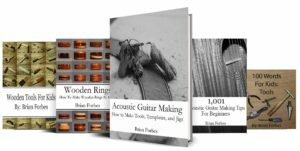 They range in scope, but since the category has become so popular, there are posts on nearly every kind of woodworking. If you are looking for some education, Pinterest is the place. You can search around for tutorials and step by step instructions on your project, and then try them out. You can see how someone else makes the project, and become better yourself. Look through several examples and find a few different versions of how something is made to learn from. You can combine ideas, decide on the parts that you like and don’t like, and bring them all together to create the build that you really want to make. These Might be some things you put in your Woodworking Notebook too. Pinterest is not as social as other kinds of social media, but it is getting there. The real thing to understand is that there are real people behind the pins. Every pin on there is posted by someone, and they might be able to help you. Relationship building in the beginning of your woodworking career can make a big difference in how fast you learn. There are ways of learning on your own but you can always do better when you have someone to just ask. A real live person is what you can find on Pinterest, and you can email them if you have any questions. It depends on how open they are with their personal information, but some people openly let you know how you contact them, and you can also contact inside the app. If you want someone to follow quickly, You Can Follow Me of course. One great way that Pinterest can help you is in project inspiration. You can find other people making the same project that you are interested in making, and follow them. You will get to see what they make, and many times how they make it. When you are new to a project, you will not know much about what people are doing with that same project until you look. You might like some of the things that are being done that you have never seen before. Thanks to the internet, the world has gotten a little smaller. You can use Pinterest and other social media sites to see what people are doing all around the globe. This means you get to know more about each project, and that can help you with your own. One of the best benefits of Pinterest is that it fits in your pocket. Everyone has a smart phone now, and you can get a free app for Pinterest. When you Cary your phone, you also carry your woodworking inspiration. 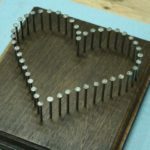 If you have some down time, instead of playing a game or killing time with something that is not helping you advance your woodworking skills, look at Pinterest. Scroll through some pictures, and read some tutorials. As you read, even though you are not following along, you can still learn. Your brain absorbs the process, and your mind fills in the details. Having read the process a few times, you are more capable of completing it when the time comes to do it in the shop. Woodworking is such a wide field, and such a deep one as well. Pretty much anything that has to do with making something from wood can be considered woodworking. This means that the craft contains thousands of sub categories. On top of that, each sub set can be taken so deeply that you can spend a lifetime on even some of the smaller aspects and still find enjoyment. This is the beauty and the misery of woodworking, and you would need several lifetimes to learn it all. Pinterest has now become so saturated with woodworking that you can find things on even the more obscure aspects of the craft. 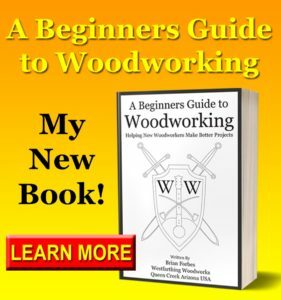 If you give it a try, you will be amazed at how much information about woodworking has made it to the site. Finally, you can use Pinterest to grow an audience yourself. I have a good following on Pinterest, which you can add yourself to after you join, by Following Me. After a while, you will eventually start posting your own stuff. This is when you get to pay it back. Paying back is your way of helping the next new woodworker. Post pictures of your own projects, and you will be found by others the same way you found others. They will get to benefit from seeing your pictures, and you get to give back. If you are consistent, and you post a lot of good stuff, you will eventually grow a following that keeps on coming back. After all, if you give them good stuff, they will always come back. Now, you get to share your craft with the world, and help new woodworkers too. Your homework is to start a Pinterest account. If you are totally new to the program, it’s easy to sign up, and you can be up and running in minutes. Once you are signed up, and you have you account, start looking for things you like. When you find something you like, take a look at the person that pinned the item, and the board it came from. You might find that the person is a fellow woodworker, and you can choose to see more of what they pin. You can follow the board itself, or the person, which means you will follow all of their boards. As you see more and more of what they pin, you will find a lot of inspiration. Keep on doing this, and your main screen will be filled with lots of great stuff. Pinterest can actually help you become a better woodworker. The way this happens is by giving you lots of great inspiration, a window. 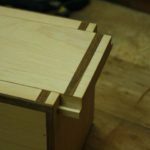 Into other people’s projects, and a way to increase your woodworking knowledge. With a smart phone, the app is right in your pocket. All you need to do to find your next fun project is pull out your phone and take a look. When you see something you like, just save it, and over time you will create a huge resource of great pictures. This is where Pinterest is really a great resource. The pictures, tips, tutorials, and ideas will all be things that you like. After all, you picked them to be on your boards. This means not only will your resource be really big over time, it will only have the best stuff in it too.